Peter Zheutlin Archives - Joelle Delbourgo Associates, Inc. 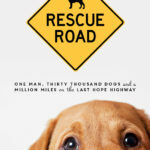 RESCUE ROAD #3 on New York Times List for Animal Books in January! How far would you go to save a dog’s life? The extraordinary story of one man who has driven more than 1 million miles to rescue thousands of dogs from hunger, abuse and neglect and give them a second chance at life and love. Join journalist Peter Zheutlin as he travels with Greg from Ohio to the Gulf Coast on his Rescue Road Trips to bring hard-luck dogs from the deep South to loving “forever families” up north, with the help of many selfless volunteers along the way. 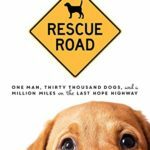 From Houston’s impoverished Fifth Ward–where thousands of strays roam the streets–and high-kill shelters in Louisiana, to joyous scenes of adopters embracing their new pups in the Northeast, Rescue Road (Sourcebooks, October 2015) is full of heart: an inspiring story about the unique bond between dogs and humans, and how going the extra mile can make a life-changing difference for these loyal canines-and for us all.